East Texans who are in an accident and seriously injured by the negligent or wrongful actions of another have their lives turned upside down. Also in addition to physical injuries, medical bills and lost wages will frequently add a painful amount of pressure on these people and leave them with many unanswered questions. If you received injuries from an auto accident contact a Qualified Tyler Injury Lawyer regarding your rights. I handle all local injury cases myself from start to finish. 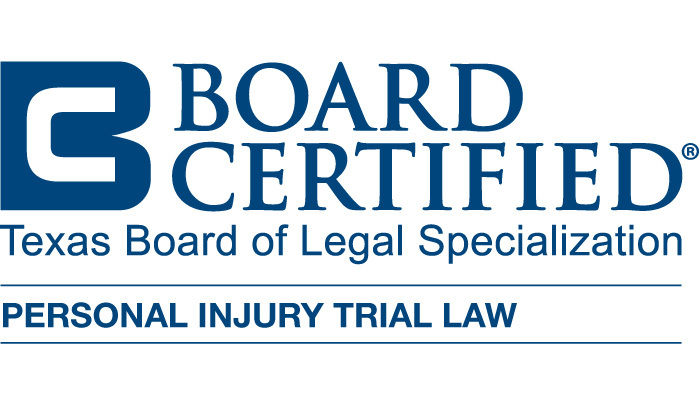 As an experienced Injury Lawyer, I have earned the trust of my clients by practicing law with the highest ethical standards in the legal profession. My positive results are from a combination of experience, skill, hard work, integrity and compassion for the injured clients I represent. Why Hire a Tyler Injury Lawyer? Being involved in a personal injury lawsuit it is most likely a first occurrence for you, which means you may not know what is to be expected. A compentent Tyler Injury Lawyer can meet with you personally and explain in-depth the overall process to you, answer your questions and explain real expectations. When I am hired by an individual I typically send a letter of representation to the at fault party within just a couple of days. This letter lets the at fault side know that you have retained a attorney to fight for you. In our first meeting I will walk you through the whole process to put you at ease. After you have been involved in an accident your experience does not end when you pick up your settlement check. No matter the circumstances, without any cost or obligation, I will answer your questions and discuss your rights and options regarding personal injury law in Texas. For an honest, straightforward, discussion contact me a Experienced Tyler Injury Lawyer Today at (903) 525-9869. The majority of personal injury cases are settled before a lawsuit is needed. Once an attorney is involved in your case the insurance adjuster will know that you are only willing to settle for a fair amount. At this point they understand that they may save money by settling your claim before they have to hire an attorney to represent the at-fault party. Cases that are not settle pre-suit will have to have a lawsuit filed to continue to pursue the injury claim. This is where an trial attorney with experience is extremely valuable. Your attorney should first review your case including all pictures, accident reports, and witness statements to determine liability. Keep in mind that Texas limit the amount of time personal injury victims have to seek compensation for expenses such as medical bills, lost income, rehabilitation, physical pain and emotional suffering due to a personal injury claim such as a car accident. However, the sooner you start, the sooner you can pursue a personal injury lawsuit and receive a personal injury settlement. A qualified and experienced personal injury lawyer will expedite the process of settling with the insurance company. Personal Injury Protection (PIP), is for the purpose of partially reimbursing you and your family for medical expenses and lost wages resulting from an auto accident, regardless of fault. I routinely help clients recover personal injury protection benefits (PIP) for their medical expenses and lost wages. UM and UIM Insurance stands for Uninsured Motorist and Under Insured Motorist coverage. Sometimes when a person is in an auto accident the at fault party may not have insurance. In this case uninsured motorist coverage may cover your injury claim. Under Insured Motorist coverage may be applicable if the at fault party does not have coverage to cover your claims. Both of these coverages are optional coverages, however I highly recommend speaking with your insurance agent regarding these additional coverages. GAP insurance is another type of additional insurance coverage. Unlike the coverages above gap insurance is strictly for the property damage portion of your claim. If your vehicle receives damage in an accident and your car a total loss gap insurance may provide coverage. In a total loss the insurance company only pays for the fair market value of your car. For example, if you owe $25,000.00 on your vehicle but the fair market value is only $20,000.00 you could be on the hook for owing the remaining $5,000.00. Gap insurance usually covers this $5,000.00 gap in coverage. You can purchase gap insurance when buying your vehicle. Therefore, if you are financing your vehicle, I would strongly suggest considering getting gap coverage. Accidents occur everyday and people or seriously injured everyday. Thus, It is important to have etc right insurance coverage for if your are in an accident. Lastly, if you have any questions regarding an injury claim feel free to call me free of charge.